There's something about the fearsome crunch of Ancient Methods' sounds that defies dry technical description and demands that you go over the top, whether in talking or by moving to it. 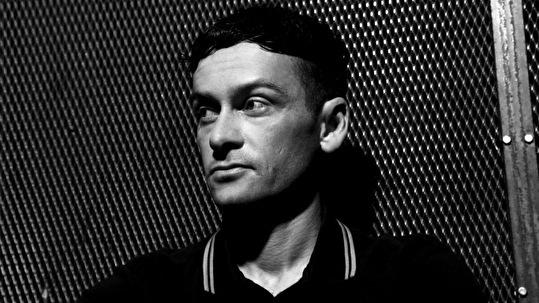 Which isn't to say he makes headbanging music – the "funk" part of his pitch-black-techno-war-funk is as important as anything, and his tracks have a healthy dose of bump'n'grind running throughout them, even if that grinding is as much angle-grinder as bogling. The raw edges, thick-layered sound and general old-school soundsystem-in-an-industrial-building kick has leapt out amidst the minimal orthodoxy, creating a massive buzz over a few beautifully marbled pieces of vinyl with medieval etchings on the labels, prompting suggestions of a new industrial forward movement in the techno scene.